Conservation for the long run requires many things: patience, partnerships and a willingness to learn. Five years ago, Five Valleys embarked on a new journey as a land trust when, with the help of many partners, we purchased the nearly 300-acre Rock Creek Confluence Property, near Clinton. It was a brave step—Five Valleys had never owned property for the long-term before. Today, the Confluence is providing a living laboratory for Five Valleys to grow and adapt to the needs of our community through collaborative community conservation. This summer, with the help of University of Montana Recreation Management student Brenden Dalin and guidance from Summit Independent Living, the Confluence evolved yet again. 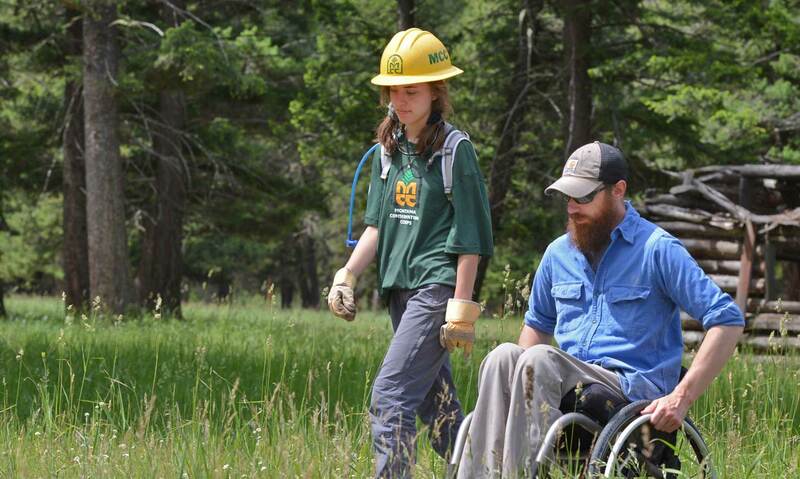 With funding through the Missoula County Parks and Trails Matching Grant Program, Brenden and members of the Montana Conservation Corps and worked to further improve the all ability-trail that was installed in 2017. Brenden’s real-world experience, as well as his educational credentials, provided invaluable input on how to make public lands more public. Brenden is an avid outdoorsman. He also uses a wheelchair. "As an individual living with a physical disability, I have experienced how difficult access to and participation in outdoor recreational activities can be,” he says. In addition to his studies, Brenden is a Peer Advocate with Summit Independent Living, a disabilities advocacy organization in Missoula. The trail improvements were completed in July, in tandem with recently installed wheelchair accessible parking and toilet facilities. A wildlife viewing platform will be built before year-end, as well as interpretive signage and trail features to assist sight-impaired visitors. “The property provides unique access to a variety of recreational activities for individuals of all abilities who can now can experience and achieve all the related benefits of outdoor recreation,”says Brenden. Across our service area, we’re taking the lessons we’ve learned at the Confluence and are spreading them across the wider landscape. Our experience of providing public access to waterways at the Confluence proved invaluable when Five Valleys took on stewardship and management of the Lincoln Community River Park. 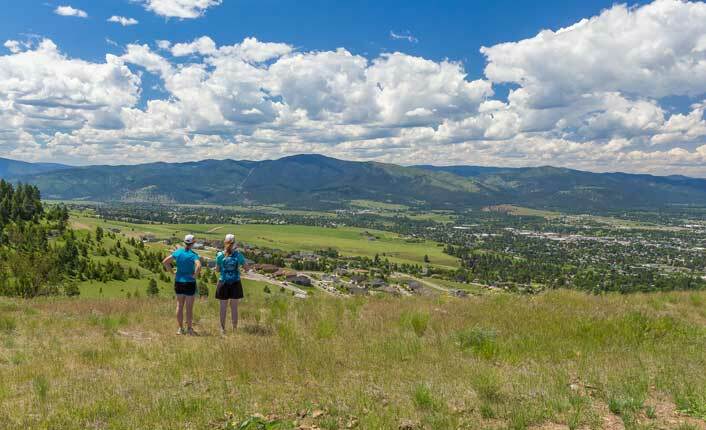 And on Marshall Mountain, the Confluence’s models for cooperation are helping create a recreational playground for the biking community. In the next valley over, in Miller Creek on the south flank of Mount Dean Stone, members of the Mount Dean Stone Committee saw an opportunity to provide better access to the vast tract of public land that lies adjacent to Mount Dean Stone. Thanks to this collaboration, the gate at the Little Park Creek trailhead will be replaced with a wheelchair-assessible gate that is similar to the tried-and-true ones used at the Confluence. What started as a project to protect Rock Creek has evolved into so much more. The Confluence, and the projects it has inspired, are proving to be fertile grounds for pushing the boundaries of how a land trust can serve its community. Hikers on the Barmeyer Trail, on Mount Dean Stone. Photo by Vo Von Sehlen.